On December 1st, the Girls Next Door hosted their second annual winter a capella invitational, held in the Massry Center for the Arts. 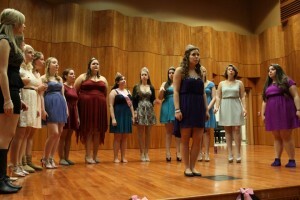 The Girls Next Door (GND) is the only all-female a Capella group on the Saint Rose campus. 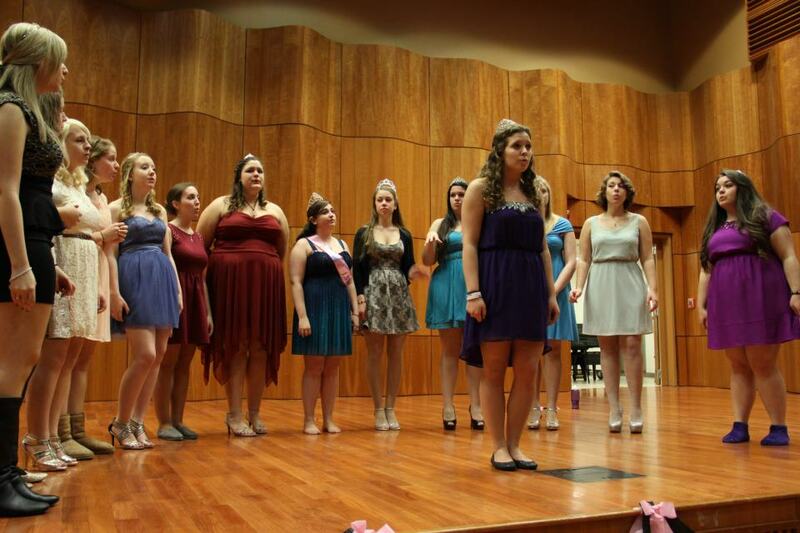 The group has been recognized by the International Championship of A Capella (ICCA) for the second year. Last year GND made it to the quarter finals of the ICCA competition. The Invitational featured a Capella groups from various NY colleges, including Hofstra University’s Dutchmen, SUNY Albany’s Serendipity, SUNY Oneonta’s Hooked on Tonics, Binghamton University’s Binghamton Crosby’s, and The College of Saint Rose’s Girls Next Door. The fairy tale theme of the invitational provided a magical experience. The event was hosted by Tinamarie Stolz and Alex Kouloriotis , who put on an unforgettable act as granddaughter and grandmother just trying to get through story time.